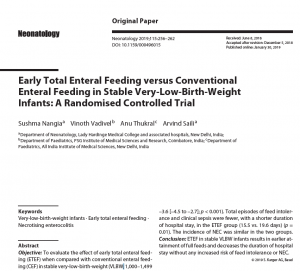 To evaluate the effect of early total enteral feeding (ETEF) when compared with conventional enteral feeding (CEF) in stable very-low-birth-weight (VLBW; 1,000–1,499g) infants on the postnatal age (in days) at attaining full enteral feeds. 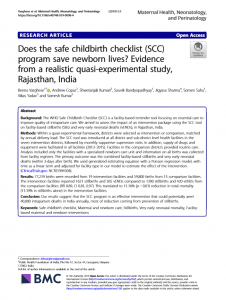 Methods: In this unblinded randomised controlled trial, 180 infants were allocated to an ETEF (n = 91) or a CEF group (n = 89). Feeds were initiated as total enteral feeds in the ETEF group and as minimal enteral nutrition (20 mL/kg) in the CEF group. The rest of the day’s requirement in the CEF group was provided as parenteral fluids. 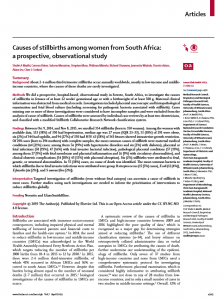 The primary outcome was postnatal age at attaining full enteral feeds. The secondary outcomes included episodes of feed intolerance, incidence of sepsis and necrotising enterocolitis (NEC), and duration of hospital stay. 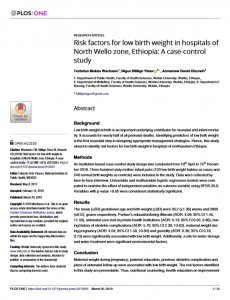 The baseline variables including birth weight and gestational age were similar in the two groups. 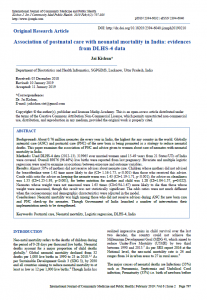 The infants of the ETEF group attained full enteral feeds earlier than those of the CEF group (6.5 ± 1.5 vs. 10.1 ± 4.1 days postnatal age; mean difference –3.6 [–4.5 to –2.7]; p < 0.001). Total episodes of feed intolerance and clinical sepsis were fewer, with a shorter duration of hospital stay, in the ETEF group (15.5 vs. 19.6 days) (p =0.01). The incidence of NEC was similar in the two groups. 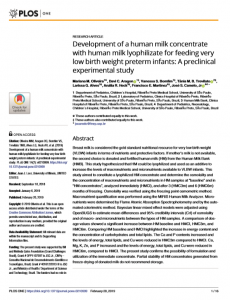 ETEF in stable VLBW infants results in earlier attainment of full feeds and decreases the duration of hospital stay without any increased risk of feed intolerance or NEC. This article is not open access and therefore we cannot post here. Please go to the journal page to access or purchase.